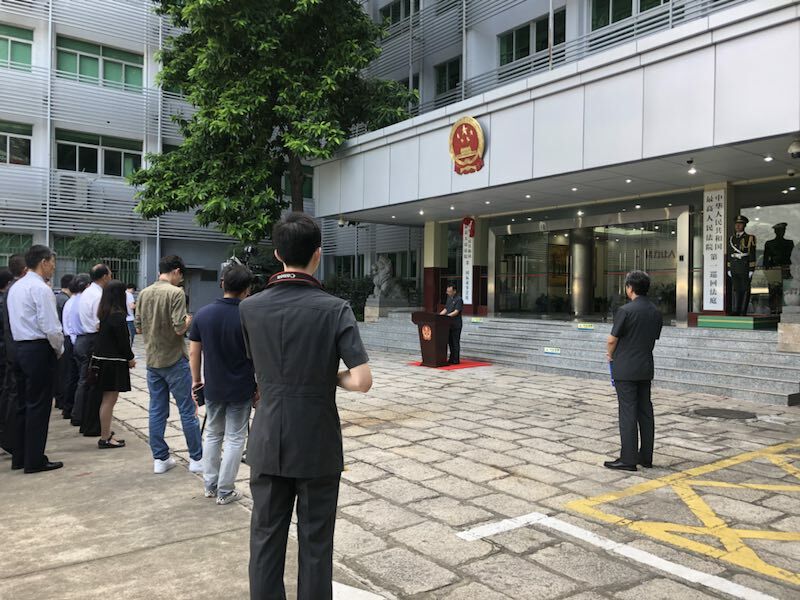 At the end of June, the Supreme People’s Court (SPC) held ceremonies to mark the establishment of its international commercial tribunals (国际商事法庭)(this post will use the phrase “international commercial court,” or “CICC” as the official media are using both terms). The provisions establishing the international commercial courts went into effect on July 1. As I wrote earlier this year, political and technical requirements shaped the CICC, as will be explained below. These (partial) comments do not set out an overview of the court, as that has already been done by several law firms (and there are likely to be more), including Zhong Lun (published on the Kluwer Arbitration blog) and Herbert Smith Freehills. In my view, those drafting the structure of the CICC were constrained by Chinese law, the nature of the Chinese court system and related regulatory systems. Although some Chinese commentators have referred to the CICC privately as a “mini-circuit court,” the CICC incorporates innovations, some of which have not been recognized by commentators thus far and provisions from the latest round of judicial reforms. The brief judicial interpretation establishing the CICC leaves related questions unanswered, some of which I will raise below. I expect some of those questions to be gradually answered as regulations underpinning the CICC are issued. The small team of judges and limited jurisdiction of the court are likely to mean that overall trends in Belt & Road dispute resolution are unlikely to be significantly affected by its establishment. As a court focused on international commercial issues staffed by some of China’s most knowledgeable judges in that area, the court is likely to have a positive effect on the competence of the Chinese judiciary regarding international trade and investment issues, particularly as the SPC leadership knows that the international legal community is monitoring the court’s operation. It is unclear from recent reports whether the SPC will allocate additional resources to support its operation, which to this outside observer would be a shortsighted approach to take, as even something as apparently simple as translating judgments into English (as appears to be the intention of the court) is time-consuming. From Judge Gao’s press interview earlier this year (the subject of that earlier blogpost, a full English translation of which is found on the CICC website,) it is clear that she and her other colleagues involved in drafting the judicial interpretation were well aware of international commercial courts that had been or were being established elsewhere in the world. This research was provided by the China Institute for Applied Jurisprudence, the SPC’s in-house think tank (briefly described in this earlier blogpost). However, the political imperatives of establishing the CICC as a priority matter meant that the SPC was constrained by the realities of current Chinese law. Because judicial interpretations of the SPC cannot contravene the civil procedure, judges and other national law (National People’s Congress legislation) [and there appeared to be insufficient time and possibly appetite for promulgating legislation piloting exceptions to these provisions]. This meant that the language of the court could not be English, the procedural law had to be Chinese civil procedure law, and the judges had to be judges so qualified under current Chinese law. As has explained elsewhere, under Article 2 of its Provisions, the CICC has jurisdiction over five types of cases, three of which are rather flexible (cases under a higher people’s court jurisdiction that it applies to have the SPC hear; first instance international commercial cases that have a nationwide significant impact; any other international commercial cases that the SPC considers appropriate to be tried by the CICC). This enables the CICC to control its caseload, as the eight judges on the CICC are likely to have their existing caseload in the SPC division or circuit court in which they are working, plus major obligations in drafting judicial interpretation or analogous judicial guidance. I am personally unaware of cases in which a higher people’s court has required the SPC to hear a case within its jurisdiction (please contact me if you have such information) but it can be anticipated that a higher people’s court may prefer to rid itself of a difficult case (either legally or more likely institutionally) to avoid a mistaken decision. As has been noted elsewhere, the eight judges appointed to the CICC are all SPC judges, although Article 4 of the CICC provisions appears to permit qualified judges from the lower courts to be selected. Those provisions do not mention whether a selection committee (one of the current judicial reforms) was used to select the current CICC judges, or whether a selection committee will be used for future appointments. There are in fact experienced judges in some of the lower courts who are able to use English as a working language. However, the exigencies of needing to appoint judges in a brief period of time (and possible SPC headcount restrictions, after the SPC has cut headcount under the quota judge system) meant that all CICC judges are from the SPC. This means a number of judges are relatively junior. The expert committee to be established (rules yet to be issued) is an innovation under Chinese court practice. Unlike many other major jurisdictions, the Chinese courts lack user committees or advisory committees. This could be a useful way of bringing international input before the Chinese courts in a formal way. although the usefulness of the institution may depend on how often the committee meets and how familiar its members are with the Chinese court system. Presumably acting as a mediator or providing an expert opinion on a matter of foreign law will be optional (further details to be revealed when those rules are issued). Some persons may prefer to provide general advice to the SPC rather than involve themselves in the specifics of a particular dispute. The CICC will not require translations into Chinese of evidence, if the parties so agree, or require evidence to be notarlized and legalized. As I wrote previously, China has not yet acceded to the Hague Convention Abolishing the Requirement of Legalization for Foreign Public Documents, so in Chinese court litigation, notarization and legalization of documents is often required., starting when a party files suit or when a foreign party responds. It is not clear whether the CICC will require notarization and legalization of foreign party authorization of counsel. It is an innovation possible within the constraints of current law, that the CICC will consider evidence even if evidence from outside of China has not been notarized and legalized. Notarization and legalization costs time and money and a great deal of effort. It is understood that China is considering acceding to the Hague Legalization Convention. The mechanism to link mediation, arbitration and litigation is an important part of the judicial reform measures (mentioned in this blogpost on diversified dispute resolution). Which mediation and arbitration institutions will link to the CICC are unclear (and the rules for selecting those institutions), but the policy document underpinning the CICC refers to domestic rather than foreign or greater China institutions. The Shenzhen Court of International Arbitration and Hong Kong Mediation Centre have entered into a cooperative arrangement to enable cross-border enforcement of mediation agreements, so presumably, this is a model that can be followed for Hong Kong. The CICC provisions do not add new content on the enforcement of their judgments. As this earlier blogpost mentioned, enforcement of its own (and that of Chinese lower courts abroad) and foreign court judgments in China is on the SPC’s agenda. As I have written (and spoken about) previously, China (with SPC participation in its delegation) has been taking an actively part in negotiations on the Hague Convention on the Recognition & Enforcement of Foreign Judgments, (the link includes the draft convention) and has signed but not yet ratified the Hague Convention on the Choice of Courts Agreements. It appears that the drafters of the CICC provisions considered some of the practices of Frankfurt High Court International Commercial Chamber in their draft: No translation of documents which are drafted in the English language (if there is consent); witnesses can be heard in English;and extensive use of video conferencing or other electronic means. Will the mediation and arbitration linking mechanism be able to link with jurisdictions outside of mainland China? Under Chinese law, preliminary measures (interim measures) such as injunctions, property or evidence preservation are not available for offshore arbitration. Will the CICC mechanism be able to change this, or will changes to current law be required, as seems more likely? Will difficult issues before the CICC be referred to the SPC’s judicial committee or other institutions within the SPC? As I wrote about a year ago, the SPC has adopted new judicial responsibility rules, setting out guidance under which cases heard by a collegiate panel are referred to a professional judges committee or the SPC’s judicial committee. Query whether difficult cases that have been discussed by the entire body of CICC judges will be referred further. The CICC includes several of the SPC’s most knowledgeable judges on cross-border matters (as well as the head (chief judge) and deputy heads of the #4 Civil Division, the division focusing on cross-border/international matters). These details are likely to be worked out over time. Will the two CICC courts have their own support staff? Will it have its own case acceptance office? Is the intention to give more work to existing staff, or will there be an increase in headcount to support the new institution? The CICC judges need resources to support their work, whether it be in translation or research assistance. If the consequence of the establishment of the CICC is to give additional work to existing personnel, it is not out of the question that someone involved may collapse from overwork. SPC President Zhou Qiang noted in his most recent report to the NPC that there have been deaths from overwork in the lower courts. Some of the Chinese courts’ most experienced and knowledgeable judges in the area of cross-border commercial law have been appointed to the court. The establishment of the court and its English language website gives foreign outside observers a chance to monitor how a Chinese court deals with and decides commercial cases, creating even greater pressure on the SPC and a small team of its most competent international commercial judges. In my view, the establishment of the CICC will not affect how highly sophisticated lawyers draft dispute resolution clauses for large-scale Belt & Road projects. Many of those lawyers will still draft clauses providing for offshore arbitration because of the New York Convention (and the corresponding arrangement between Hong Kong and the mainland) and some concern about Chinese arbitration institutions. I have personally found it is difficult to get an accurate grasp of what current practice is with Belt & Road related dispute resolution clauses, given the range of deals under the Belt & Road Initiative. It is difficult to predict how the CICC may change those practices. The CICC and its associated dispute resolution mechanism provide an alternative to existing dispute resolution mechanisms. Will it show itself to be a more attractive way to resolve international commercial disputes, efficient and cost-effective, while maintaining high quality? We will need to monitor how it develops. Many thanks to those who commented on earlier drafts of this blogpost. While Supreme People’s Court (SPC) judicial interpretations are unquestionably binding on the lower courts, one of the many questions that Chinese legislation does not answer clearly is the broader extent to which they are binding. [2007 SPC regulations state that “the judicial interpretations issued by the Supreme People’s Court have the force of law (具有法律效力). The issue poses both theoretical and practical questions and is one that I had been exploring earlier this week offline with several blog followers (and some others in the Chinese legal community), in relation to Chinese law governed arbitration. Coincidentally on 5 April Wang Jun, former dean of the Law School of the University of International Business and Economics and senior consultant to Cyan Law (采安律师事务所) posted his analysis of a recent Chinese court case on the firm’s Wechat account that raises the issue of whether judicial interpretations are binding in a Chinese law governed arbitration (court cases, of course lack binding precedential value, as I wrote in my Tsinghua China Law Review last year). The court case was a ruling in response to an application to cancel (set aside) an arbitral award of the Shangrao [Jiangxi] Arbitration Commission, one of the 250 or so domestic arbitration commissions, in a private lending dispute. The parties that applied to cancel the award alleged that the arbitral tribunal’s failure to apply the cap on interest in the Supreme People’s Court 2015 interpretation on private lending evidenced that the arbitral tribunal had twisted the law in arbitration. the arbitral award is the result of the independent judgment of the arbitration tribunal. If it finally determines that there is a gap between the principal and interest of the loan owed by …[the debtor] and the judicial interpretation, that is within the scope of the arbitral tribunal’s understanding and application of law, not an act of twisting the law in arbitration. Moreover…[the applicants] did not provide this Court with evidence that the arbitrators had sought or accepted bribes, committed malpractices for personal benefits or perverted the law in the arbitration. Therefore, [the applicants] application ton cancel the arbitral award lacks a factual and legal basis. This Court does not support it according to law. Whether the judicial interpretations of the Supreme People’s Court as a matter of course apply to arbitration cases has always been a controversial matter. We believe that judicial interpretations are what the Supreme People’s Court has promulgated regarding how specifically to apply the laws in the courts’ trial [adjudication] work. It is limited to court trials [adjudication] and does not necessarily apply in arbitration cases. And Article 7 of the Arbitration Law expressly provides that arbitration should be based on facts, in line with the law, fair and reasonable settlement of disputes. Therefore, it can be argued that arbitral tribunals do not necessarily have to be bound by the judicial interpretation of the Supreme People’s Court when hearing cases. The initial response to my question of whether judicial interpretations are binding was that views differ among (Chinese) arbitrators, but that it is an issue arbitrators keep in mind because of the power of courts to review arbitral awards. A number of senior Chinese arbitrators, who have heard cases both inside and outside China, further shared their views with me. One commented that because judicial interpretations in China serve as an important source of interpretation of law, as more detailed and convincing guidance on how Chinese legislation should be applied, that he usually followed (applied) judicial interpretations of Chinese substantive law in arbitration. He distinguished the rare case where he might think that the judicial interpretation was wrong. Another arbitrator commented that in his experience in Chinese law governed arbitrations, judicial interpretations were considered binding. A third prominent arbitrator sought to distinguish domestic arbitrations from foreign-related and international arbitrations, where the standards of review were different. Is practice any different when non-Chinese arbitrators are sitting as arbitrators? Does it make a difference if the arbitration is seated outside of [mainland] China, or does it depend? Those with further information, please share what you know through the comment function or by Wechat or email. The latest buzz within the Chinese international commercial legal community on Belt & Road related legal developments appears not to have surmounted the Great Wall of the Chinese language. The buzz is that a comprehensive judicial interpretation relating to arbitration is on route to promulgation. On 4 December the Supreme People’s Court (SPC) issued a news release that its judicial committee had approved a judicial interpretation on judicial review of arbitration in principle, entitled Provisions on Some Issues Related to the Trial of the Judicial Review of Arbitration (Judicial Review of Arbitration Interpretation) (最高人民法院关于审理仲裁司法审查案件若干问题的规定). “Approval in principle” (原则通过) is not mentioned by the SPC’s 2007 regulations on judicial interpretations but is one of the SPC’s long-established practices. It means that the judicial committee has approved it, subject to some “minor” amendments. Minor amendments are more than typographical errors and relate to specific substantive matters. However, the news release did not specify what those “minor” issues were or set a deadline for issuing the interpretation. In December of last year (2016), the SPC’s judicial committee also approved in principle the #4 Company Law interpretation, but that interpretation was not formally issued until August of this year. This observer surmises (without any basis in facts or rumors) that the interpretation will be promulgated before Chinese new year so it can be one of the 2017 accomplishments of the SPC’s #4 Civil Division (but then again, that may be overly optimistic. The new interpretation will focus on the issues that courts frequently encounter when arbitration-related cases come before them, dealing with gaps in current judicial interpretations (and likely the outdated Arbitration Law, (The Arbitration Law is also the subject of discussions among practitioners, academics, and others.) The interpretation will incorporate new provisions on the types of cases, case acceptance, jurisdiction, procedure, the application of law and other questions. It appears that it will incorporate the provisions described in the Notice concerning some questions regarding the centralized handling of judicial review of arbitration cases (the subject of the last blogpost). It is hoped that the new interpretation will provide for a hearing procedure when cases involving the SPC’s prior approval procedure. For those not familiar with the intricacies of China’s judicial review of arbitration issues, a 1995 SPC circular sets out a prior approval procedure, requiring local court rulings to refuse to enforce foreign-related/”greater China”/foreign arbitration awards to be submitted for eventual review by the SPC. It is currently an internal administrative type procedure, with no explicit option of a hearing. The SPC announcement described the drafting of the Judicial Review of Arbitration Interpretation as having begun in 2016. This blog reported in late 2014 that Judge Luo Dongchuan, then head of the SPC’s #4 Civil Division, mentioned that a new judicial interpretation on the judicial review of arbitration-related issues will go into the Court’s judicial interpretation drafting plan in 2015 and that the SPC intends to reform jurisdiction in judicial review of arbitration issues, to consolidate them in specialized courts. A follow up post will describe the latest buzz on the Belt & Road international commercial tribunal. If you like this blogpost, please join the East Asian Legal Studies Center of Harvard Law School in supporting the Supreme People’s Court Monitor. 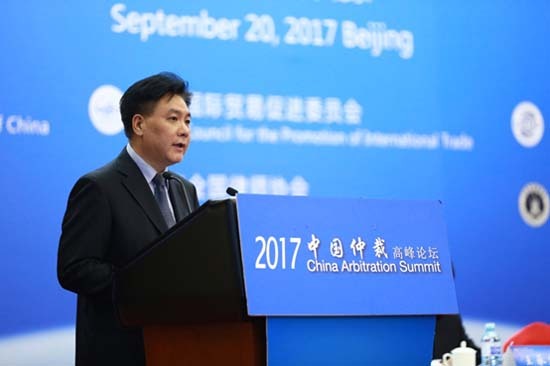 At China’s Arbitration Summit in late September, Liu Guixiang, Chief Judge of the #1 Circuit Court, called attention to a notice that the Supreme People’s Court (SPC) issued earlier this year to strengthen judicial review of arbitration. The notice (Notice concerning some questions regarding the centralized handling of judicial review of arbitration cases关于仲裁司法审件归口办理有关问题的通知) is linked to the likely increasing number of cases involving judicial review of arbitration matters, linked to the increasing number of arbitrations involving Chinese parties (and the One Belt One Road initiative) both in China and elsewhere in the world, including Hong Kong International Arbitration Centre. (The notice highlights data collection problems). The notice, reproduced below, is not an SPC judicial interpretation. Unlike judicial interpretations, notices are not required to be published. It seems that the SPC itself has not officially published it, but several official websites have published it, as have a number of Wechat accounts. A quick search reveals that the notice drew on a 2014 study by the Guangdong courts summarizing the results of pilot projects (including Shenzhen) that the SPC commissioned, involving cooperation with the now independent Shenzhen Court of International Arbitration. As is usual, Guangdong and Shenzhen have led the way as pilot areas for judicial reform. The study highlighted a list of problems with the way lower courts review arbitration related issues, including lack of consistency in reviewing cases. The study also highlighted problems in tracking case data. As Judge Liu also mentioned (as has this blog), the SPC is working on a comprehensive judicial interpretation on that subject). That judicial interpretation is still being drafted, with the #4 Civil Division of the SPC taking the lead. A very rough translation and some comments written in italics follow. (Many thanks to an anonymous and well-informed follower of this blog for bringing the notice to my attention and for some thoughts.) Please call translation glitches/mistakes to my attention. I. The trial divisions (collegial panels) trying foreign-related commercial cases shall be the specialized trial divisions (below, “specialized trial divisions) responsible for undertaking the judicial review of arbitration as set out in this notice. This means that SPC is requiring trial divisions (or collegial panels, in smaller courts) handling foreign-related commercial matters to be responsible for reviewing the arbitration related matters described in the next paragraph. It is a plus for competency/consistency in arbitration-related matters. II. In cases in which a party applies to have the validity of an arbitration agreement recognized, cases in which application is made to cancel a domestic arbitration commission’s award, cases in which application is made to recognize (认可) and enforce a Hong Kong SAR or Macau SAR arbitration award, recognize (认可) and enforce a Taiwan area arbitration award, application is made to recognize (承认) and enforce a foreign arbitral award, shall be handled by the specialized trial divisions of each level of court. This paragraph describes the types of cases covered by the notice–the types of judicial review of arbitration matters and that these cases should be handled by the specialized trial division of each level of court designated in the paragraph I. There is a difference in terminology (bolded above, but not in the original Chinese) when referring to the recognition of arbitral awards from Hong Kong, Macau, and Taiwan as distinguished from foreign arbitral awards, emphasizing that awards from these jurisdictions are considered part of “one country.” Notice that cases involving domestic arbitration awards or disputes over the validity of an arbitration agreement to submit a dispute to domestic arbitration are also to be reviewed by the specialized trial division. A big plus for consistency and competency in judicial review of arbitration matters. When a specialized trial division, after review, has ruled to recognize and enforce a Hong Kong Special Administrative Region, Macau Special Administrative Region, Taiwan Region arbitration award, recognize and enforce a foreign arbitral award, the enforcement shall be transferred to the enforcement departments for enforcement. III. When the first instance court makes a ruling which relates to the validity of an arbitration agreement relating not to accept, to reject a filing or objection to jurisdiction, and a party disagrees with the ruling and appeals, the specialized trial division of the second instance court should handle it. This provision channels appeals relating to arbitration matters to specialists in the second instance courts, again a plus for competency and consistency. IV. Each level of people’s court should establish a centralized administrative platform for the judicial review of arbitration awards, to strengthen the informatized management and data analysis of cases regarding applications to confirm the validity of an arbitation agreement, cases regarding applications to cancel or enforce arbitration awards of our domestic arbitration institutions, applications to recognize and enforce Hong Kong Special Administrative Region, Macau Special Administrative Region, Taiwan Region arbitration awards, cases regarding applications to recognize and enforce foreign arbitral awards, and cases relating to the judicial review of arbitration such as refusal to accept, reject the filing, or objection to jurisdiction and others relating to the confirmation of the validity of an arbitration agreement; the effective guarantee of the correct application of law and of a unified yardstick for judicial decision-making. The #4 Civil Division of the Supreme People’s Court and the People’s Courts Information Technology Service Center shall be specifically responsible for this work. IV. This paragraph requires a platform to be established to enable better data collection of arbitration related cases. Data collection appears to be an ongoing issue for the courts. 2015 SPC rules on case file numbers (thank you to Chinalawtranslate.com for this translation), are aimed to create more consistency in filing numbers for cases, and will also be helpful in this process. Inconsistency in case files numbers was identified as a problem in the Guangdong study.) The SPC’s #4 Civil Division (in charge of cross-border civil and commercial matters) and the Information Technology Service Center are the ones responsible for ensuring this platform works. The notice does not require data results to be made public. The legal and professional public (in China and elsewhere in the world) would look forward to regular big data reports on this. As the days count down to the 19th Party Congress, all Party/government institutions are preparing for it, including the Supreme People’s Court (SPC). 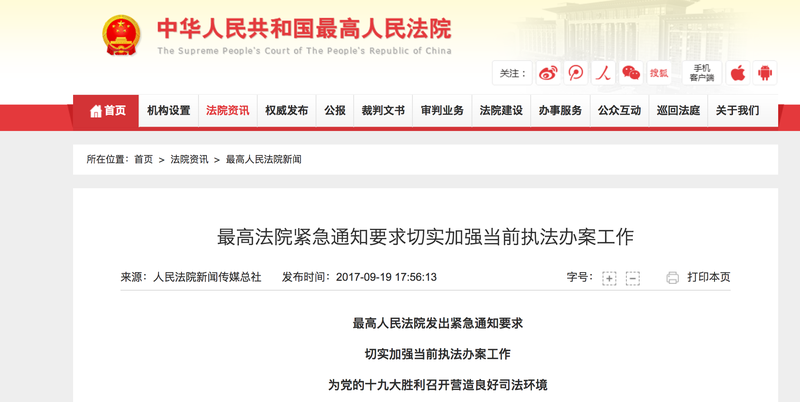 On 19 September, the SPC issued an emergency notice (pictured above), calling on the lower courts to strengthening law enforcement work to provide a good judicial environment for the holding of the 19th Party Congress. The SPC, as other Party/government institutions, issue emergency notices from time to time (here’s one from the Ministry of Education), generally linked to a politically significant event. The full text for the SPC notice hasn’t been released (or if it has, it has escaped me). It is meant to send signals to the SPC staff and to the lower courts. it reminds judges of ways to deal with the increase and cases and reduction in headcount–use diversified dispute resolution, separate simple from complicated cases, and try similar cases together. The SPC released some year to date (end August) statistics (I’m drilling down on the state of transparency in this area)–close to 16 million newly accepted cases (15.89 million), no breakdown on how cases are categorized, closed cases up to 12.67 million (up 15.7%). This indicates continued high pressure on first instance judges and their assistants. I’m awaiting data on what the vortex of reforms means for retaining high quality judges. 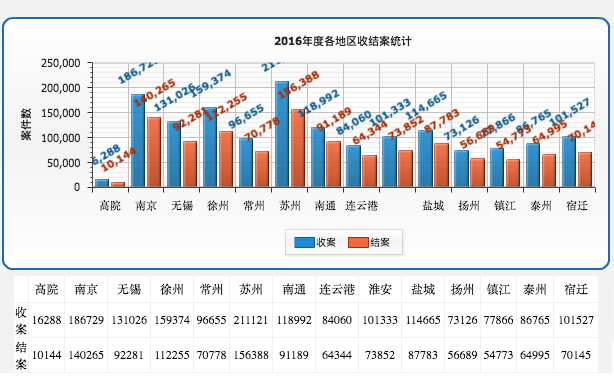 On 22 December, the Supreme People’s Court (SPC) posted four big data reports drafted jointly by its Information Center and the Judicial Cases Research Center (affiliated with the National Judicial College). The bar chart above, from the divorce report, shows the number of divorce cases heard in the courts in 2014-September, 2016, stating that the 2016 cases have increased almost 11% over the same time the year before. A subsequent chart shows that domestic violence as the cause for divorce in 27.8% of cases. The reports appear to be products of the recently established SPC big data company. The analysis in the reports is restricted to bullet points, rather the more detailed analytical reports that are found on the websites/Wechat public accounts of courts and lawyers. (Suggestion to (any) readers from the SPC– translations of these reports would be a useful addition to the English version of the SPC’s website). Anyone looking for more than current statistics and basic analysis is advised to search for more detailed analysis done by law firms, local courts, some of the legal media companies, and some of the other divisions of the SPC. On the topic of divorce, for example, an SPC judge published this analysis earlier this year, generally considered to be the most authoritative summary of the issues in Chinese divorce law. The Court Reform Plan signals that the stress is on judicial statistics and using big data for internal use rather than for public access, as “complete information” is not provided to the public, with death penalty statistics the best-known example. Although judicial transparency is greater before (especially for those of us with a historical perspective), from time to time SPC media sources reiterate that judicial personnel are required to keep state secrets (as the Judges Law and other legislation require). Many law firms publish big data analysis of specific types of cases in their area of practice, such as this analysis of credit card fraud cases in Guangzhou (22% of the defendants were represented by counsel) and drug cases in Guangzhou (less than 15% represented by counsel). An analysis of drug cases in Guangdong (Jieyang, a center for the methamphetamine business) by the local court, has important insights into the routinization of criminal justice, the inadequacy of court judgments, and the way that the trial itself and the role of defense counsel (if hired) is marginalized. Big data analyses can be found in a range of substantive areas, ranging from finance disputes to construction disputes, some by law firms and others by local courts. My fellow blogger, Mark Cohen, recently highlighted the data analysis provided by IPHouse, a firm started by a former SIPO Commissioner. They are useful to the lawyer/in-house counsel planning or considering litigation strategy, as well as for policy-makers and academics. 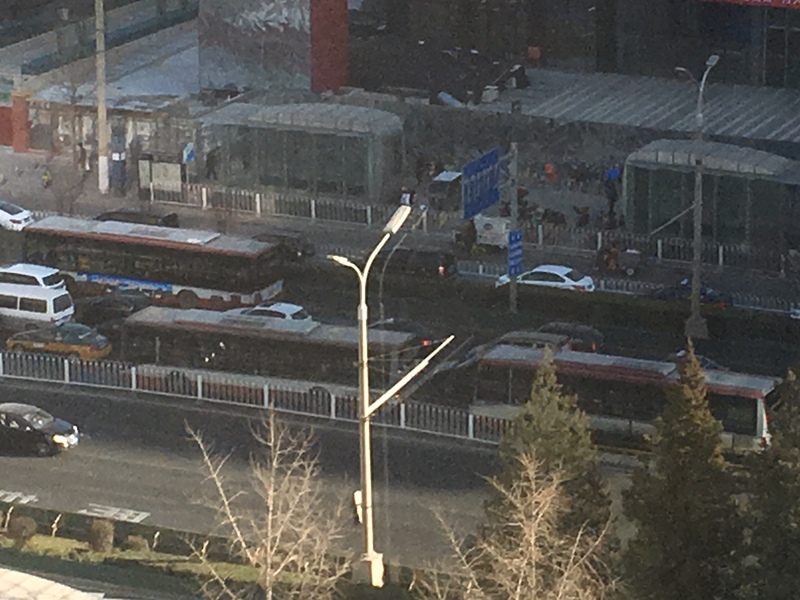 Each provides a glimpse of how (and sometimes why) the Chinese legal system works as it does. Wechat, as most people with an interest in China know, has become the preferred form of social media in China. The legal community in China has taken to it too. Some are official accounts of government entities, including the courts and others are public accounts (公众账号) established by companies, law firms, individuals, and other organizations. Ir Each has its benefits for the user located outside of China. To access these public accounts, it does not matter where in the world you are located, but you need a smart phone to install the Wechat app. The accounts can be accessed through “search official accounts” or “Add contacts” and typing in either the Wechat ID or the name of the account. The accounts can also be accessed through computer or table as well, by searching for the account in question. The official government accounts enable the user to keep current on the issues and latest government position in that area of law–new policy, new legislation, and new reforms. The Supreme People’s Court, for example, has one, as does the Supreme People’s Procuratorate, as well as their local counterparts. Another category is the less official public accounts. Some are affiliated with official organizations, while others are not, while others are in a grey area. The writing tends to be aimed at the professional, with less bureaucratic language. Some accounts are aimed at practicing lawyers, more focused on civil and commercial law than criminal law or administrative law, but both can be found. Some accounts publish writings by the account holder, while others accept articles submitted by followers. One very popular type of article is one that reviews the law and cases in a particular area of law. Some of the legal public accounts that I follow (or are highly recommended by those that I know) are listed below. The list has now updated with further information provided by a 31 January article in Empire Lawyers and Lawread on the top 10 public accounts. Please use the comment function (or email me) to suggest additional accounts. Arbitration: Wechat ID: cnarb1, account of Lin Yifei, mentioned in an earlier blogpost. I highly recommend it to both practitioners and others interested in arbitration. Civil law 海坛特哥 (haitanlegal), account of Chen Te, formerly of the Beijing Higher People’s Court, now a lawyer (高衫legal) [his earlier posts focused on medical law], Wechat ID: gaoshanlegal; 审判研究, Wechat ID: spyjweixin; 法客帝国， Wechat ID: Empirelawyers; 审判研究, Wechat ID: msspck. Criminal law: 辩护人 (bianhuren1993); 刑事实务, Wechat ID: xingshishiwu, with over 200,00 followers; 刑事审判参考 Wechat ID: criminailaw. Judiciary: There are many, among them are: 法影斑斓 , account of He Fan, judge in the judicial reform office of the Supreme People’s Court, Wechat ID: funnylaw1978 and JunnyLaw (JunnyLaw1977) the newly established account of Jiang Qiang, a judge in the #1 Civil Division of the Supreme People’s Court, so far, articles focusing on civil law issues. IP law–知识产权那点事, Wechat ID: IPR888888. The posting of 30 January, for example, includes the Supreme People’s Court judgment 11 January in its retrial of the Castel wine trademark infringement case and an article on indirect infringements of copyright on the Internet. Aggregators/General–智和法律新媒体, Wechat ID: zhihedongfang; 法律博客, Wechat ID: falvboke, 法律读品， Wechat ID: lawread, 尚格法律人, wechat ID: falvren888 (followed by at least 130,000 legal professionals). 法律读库 Wechat ID: lawreaders, followed by 500,000 (in top 10); 法律讲堂, Wechat ID: yunlvshi, established by a partner with the Yingke Law Firm (also listed among the top 10). This linked article written by Chen Te discusses how legal professionals can market themselves through a public account as well as some of the issues of having a public account. Wechat, as most people with an interest in China know, has become the preferred form of social media in China. The legal community in China has taken to it too. Some are official accounts of government entities, including the courts and others are public accounts (公众账号) established by companies, law firms, individuals, and other organizations. Each has its benefits for the user located outside of China. Another category is the less official public accounts. Some are affiliated with official organizations, while others are not, while others are in a grey area. The writing tends to be aimed at the professional, with less bureaucratic language . Some accounts are aimed at practicing lawyers, more focused on civil and commercial law than criminal law or administrative law, but both can be found. Some accounts publish writings by the account holder, while others accept articles submitted by followers. One very popular type of article is one that reviews the law and cases in a particular area of law. Some of the legal public accounts that I follow (or are highly recommended by those that I know) are listed below. Please use the comment function (or email me) to suggest additional accounts. 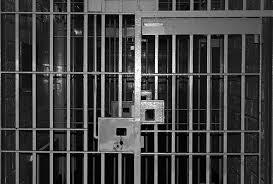 Criminal law: 辩护人 (bianhuren1993); 刑事实务, Wechat ID: xingshishiwu; 刑事审判参考 Wechat ID: criminailaw. Shine light on draft judicial interpretation on “twisting the law in arbitration”! The Supreme People’s Court and Supreme People’s Procuratorate are together drafting a judicial interpretation on Article 399a of the Criminal Law, the crime of “twisting the law in arbitration.” My understanding is that one of the criminal law divisions of the Supreme People’s Court is involved in the drafting, rather than the #4 civil division, well-known internationally for its expertise in arbitration issues. According to an article published by the Guiyang Arbitration Commission, in late April, the State Council Legislative Affairs Office distributed the draft to some arbitration commissions for comment. Given the many legal issues it raises for domestic and foreign arbitrators (and the Chinese government’s international/regional obligations), it should be issued publicly for comment. What is Article 399a of the Criminal Law? Article 399a, is part of Chapter IX: Crimes of Dereliction of Duty. Article 399a, (which seems to have been drawn from analogous provisions in Japanese and Taiwan law), was promulgated despite protests from the arbitration community. Harsh criticism continues to be published (in Chinese), such as Professor Song Lianbin’s Critical Analysis of the Crime of Deliberately Rendering an Arbitral Award in Violation of Law. Recently, Duan Xiaosong, a Chinese law lecturer, published an article in a US law review on Article 399a, but the article apparently did not catch the attention of international practitioners. Article 399a is a duty crime (one committed by officials). How is it that Chinese arbitrators who are not officials, or foreign arbitrators can commit this crime? The procuratorate investigates duty crimes. This means that the procuratorate must review an award to make a decision whether to investigate whether an award has been intentionally rendered “in violation of facts and law.” Will a procuratorate be able to conduct this review applying foreign law? If a procuratorate prosecutes a case under Article 399a, it also requires a court to undertake a substantive review of an arbitral award. Judicial interpretations of both the Supreme People’s Court and Procuratorate raise important issues. As suggested in several earlier blogposts, part of the judicial reforms should include greater requirements for public comment on draft judicial interpretations. Depending on how familiar the US and EU bilateral investment treaty negotiators are with the details of Chinese law, this may be raised by negotiators. Because this judicial interpretation has implications for China’s obligations under the Convention on the Recognition and Enforcement of Foreign Arbitral Awards (the New York Convention) and the analogous arrangement with Hong Kong, the draft should be made public so that the greater arbitration community, domestic and foreign, is able to provide detailed analysis and commentary on it. This is the interests of the international and Chinese legal communities.